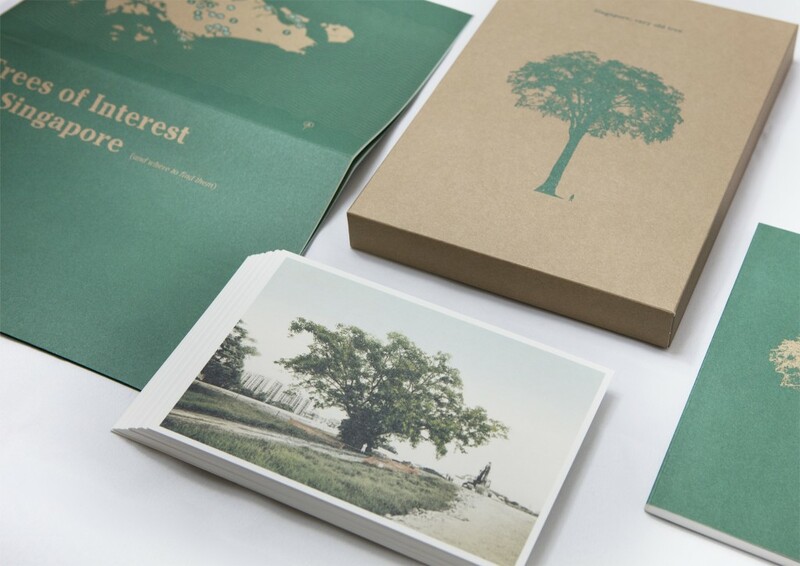 Sales of our Very Old Tree publication begins today! 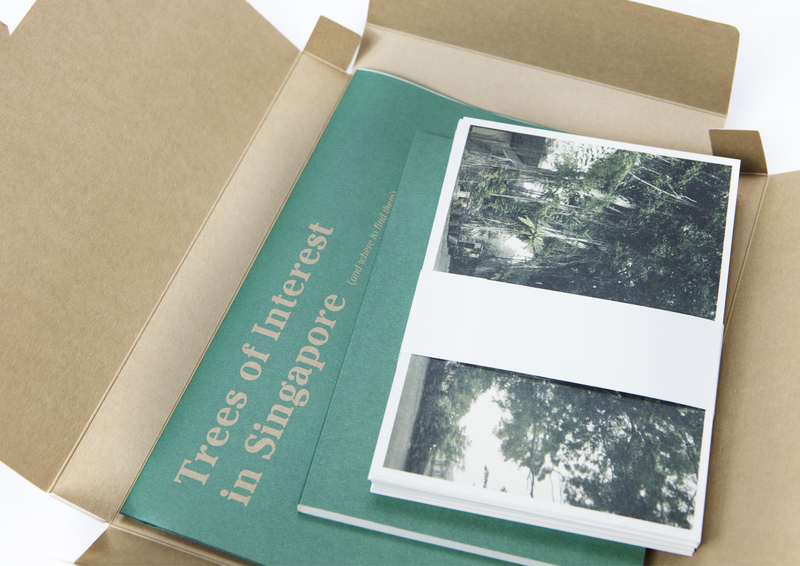 Inside, you get 30 original postcards of the project by Robert Zhao, a map of interesting trees in Singapore, and a book of write-ups. 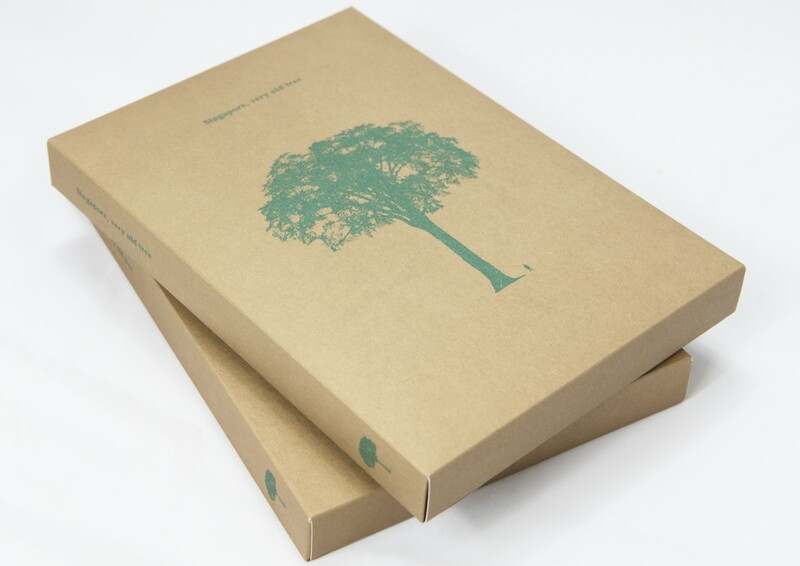 The box set costs $40 with local postage. For Christmas, we are having a special bundle deal: two for $72, with local postage. Our office will be closed from the 19th December onwards so any orders made on or after the 19th of December will not be shipped until after Christmas. We will resume shipping on 28th December 2015. 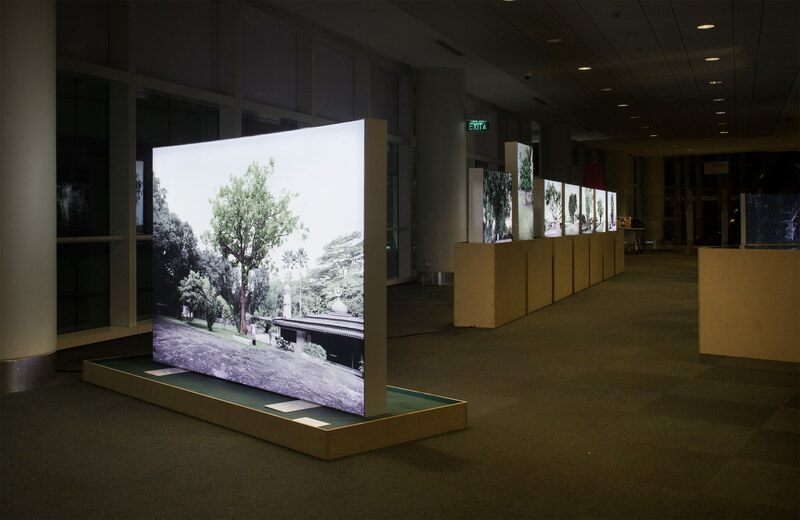 Singapore is often known as a Garden City, but this is an impersonal image of anonymous trees and gardeners. 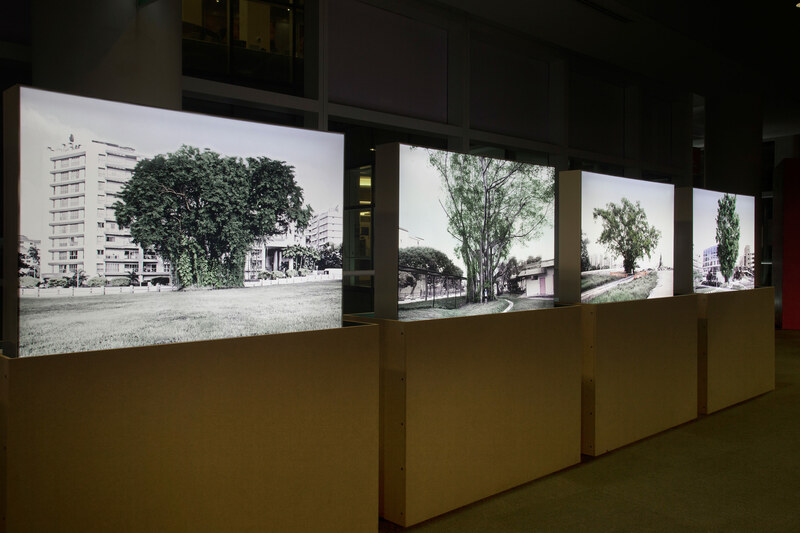 Our project aims to boil this generic image down to specifics by exploring the concrete, personal connections that Singaporeans have made with trees. After all, what is loving nature without loving the individual plant? Through our interviews, we found that people relate to plants in touching and occasionally surprising ways. For example, a group of Buddhists have been circling a rubber tree for an hour a day, for the past few years, as a form of walking meditation and to absorb the tree’s “energy”. A mangosteen tree has been sheltering a man for 20 years, since he saved it from the bulldozers. Another woman cries when her trees don’t fruit. 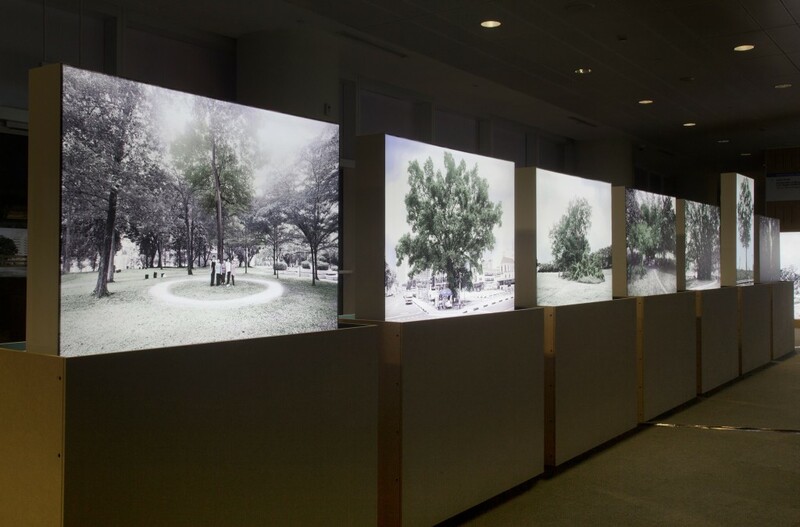 Besides featuring in individual stories, trees are living, breathing markers of history. 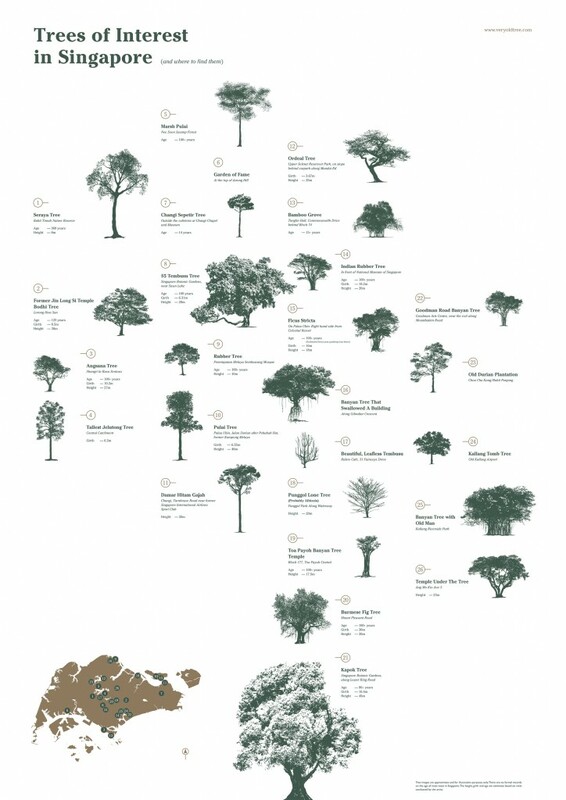 The trees in our collection are of different ages. 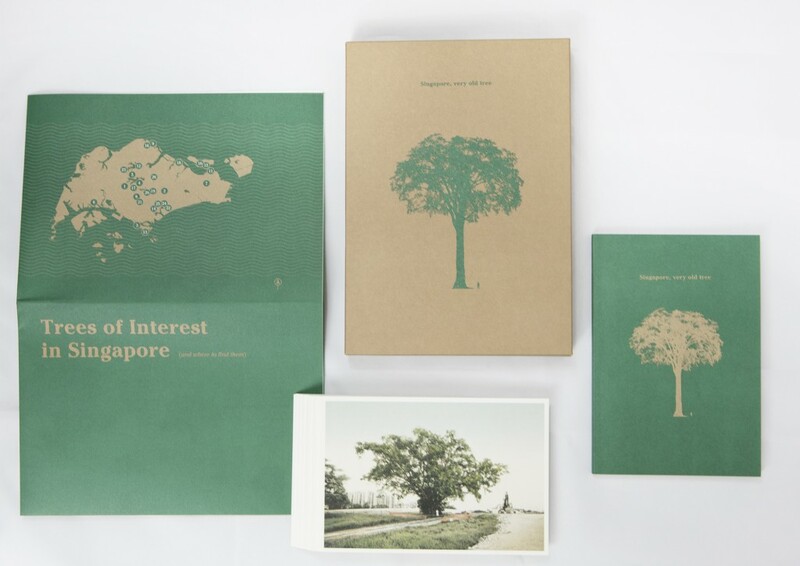 Some are old native species from pre-colonial times, when Singapore was mostly a freshwater swamp forest; others are younger trees that their owners planted from seeds. 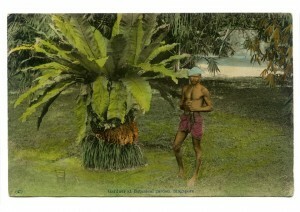 The images on show are influenced by vintage hand-tinted Singapore postcards. 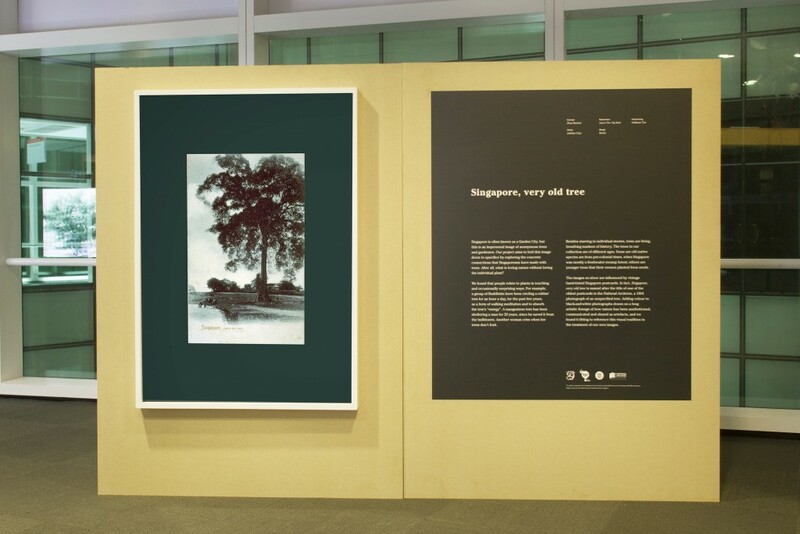 In fact, Singapore, very old tree is named after the title of one of the oldest postcards in the National Archive, a 1904 picture of an unspecified tree. In the 1960s, when he was a child, Mr Lai used to visit the former National Library with his siblings and pass by this handsome Sea Beam. 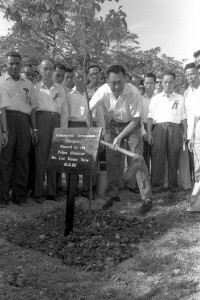 Although he did not know what kind of tree it was then, it made a lasting impression on him.Now a botanist based in Pulau Ubin, he is passionate about native plants in Singapore and focuses on the research and preservation of trees here.Before the old National Library was demolished, he took his son to say farewell to the building. His son slid down the bannisters, just as Mr Lai used to do when he was young. 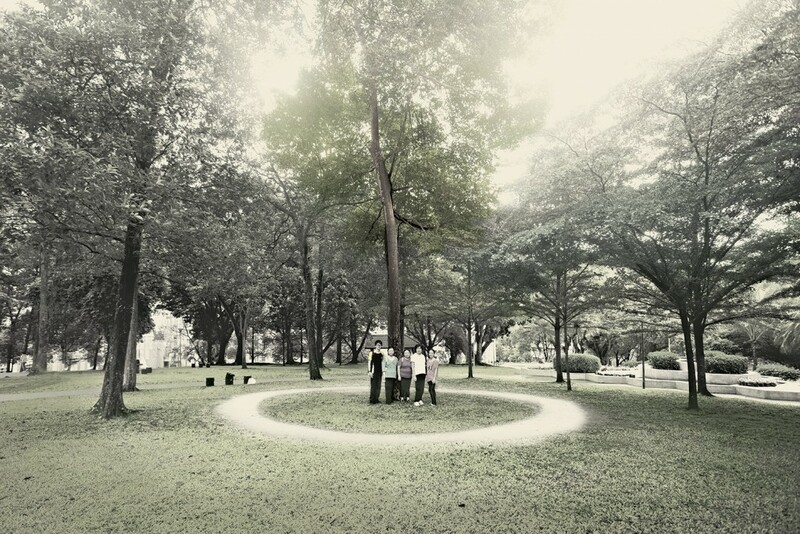 Next, they went to stand under this old tree, where Mr Lai felt an overwhelming sadness. To his surprise, a caterpillar fell down right before their eyes. 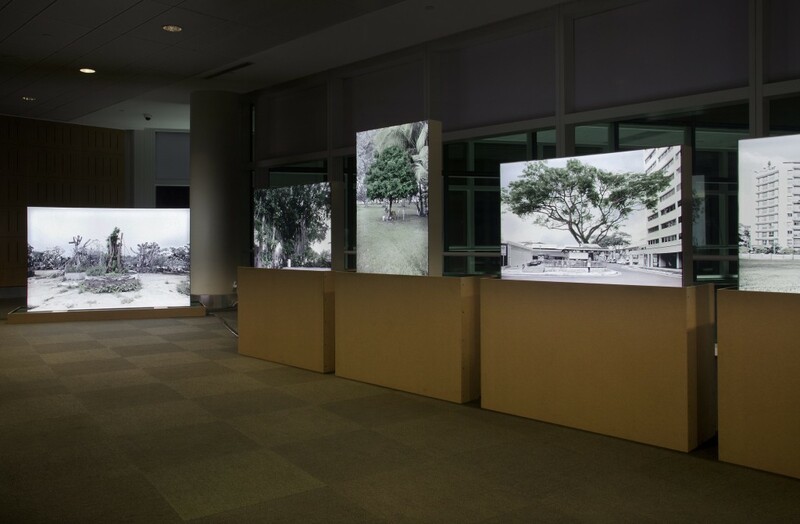 He wrote an essay on the day’s experience and his memories of the old National Library. The title of the essay was “That trees do cry”. 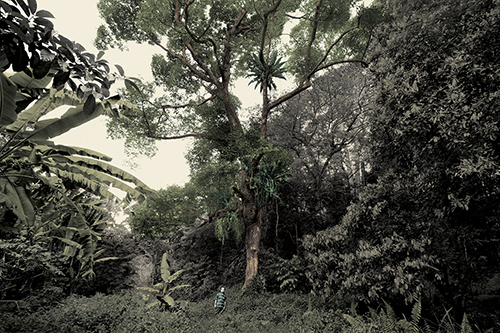 Mr O’Dempsey has been combing local nature reserves for the past few years in search of an endangered swamp species: Alstonia Pneumatophora. 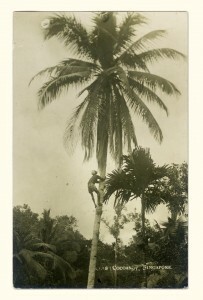 His favourite tree pictured here is estimated to be more than 100 years old. Its knee-like roots dip into the water and grow out up to 25 metres away from the trunk to breathe. 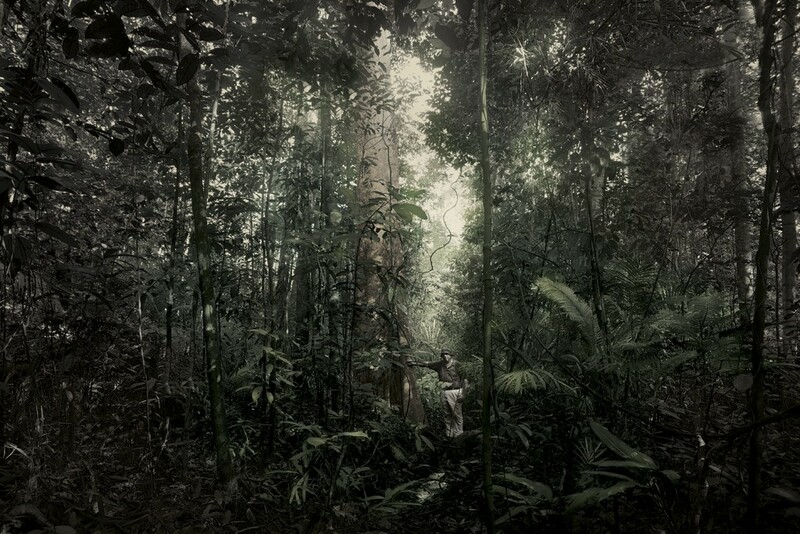 Over the last 20 years, Mr O’Dempsey has explored almost all the forests in Singapore and documents his discoveries on his personal webpage, Flora Singapura. He once found himself sinking waist-deep into a swamp before realising that it was probably better to take someone else along with him next time. 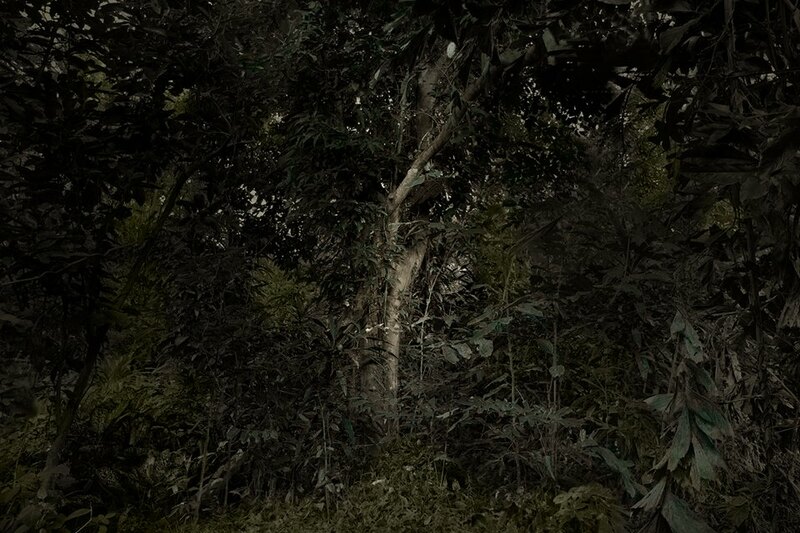 Deep in Bukit Panjang forest, there are about 100 durian trees left behind from a former kampung which was evacuated in the 1980s. Regular forager Mr Teo has been returning to this tree for the past seven years as it produces the sweetest fruit. He believes that there are two generations of durian trees: The first being the original trees in the village, and the second being the new trees planted by former villagers to “earn” money from the government – a resident can get up to $110 for a durian tree of 3m on his land as compensation. As for durian-picking, there are certain informal rules or etiquette. No one can lay claim to a tree: the fruit goes to those who come first. However, it is common for people to wait in two-hour slots. Some also wear safety helmets as they fear being injured by falling fruit. 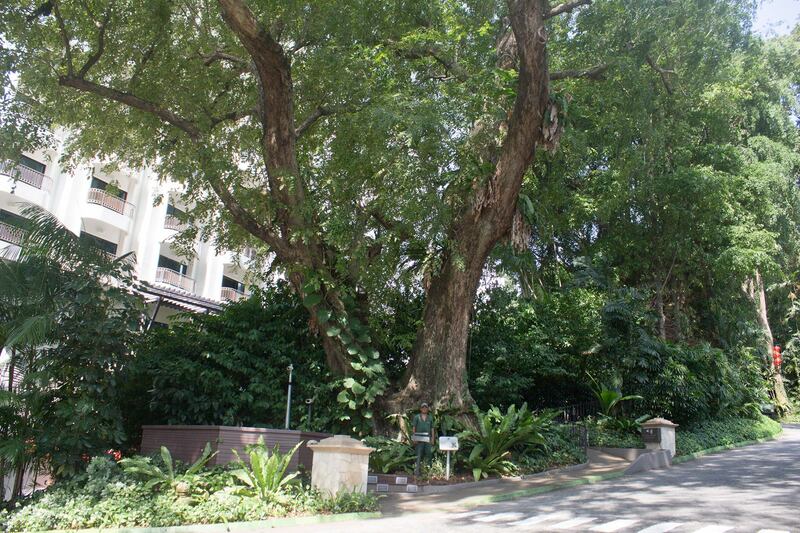 Every day for the past few years, retiree Mr Law rides his bike from Rangoon Road to rest under this tree. On a stone bench, he reads Chinese newspapers, snipping out articles and folding them into little squares after he is done. Sometimes he takes naps. He says he likes the peace and quiet. He says he used to pass by the tree some 50 years ago when he was young, on his way to Gay World, where his aunt ran a stall selling tidbits and sweets. Another regular visitor who goes by the name Mr Tan, says the place used to be called huo cheng, Chinese for fire city. He recalls that this used to be a kampung where people built boats, and the nearby Kallang River used to be very dirty before the park was set up. 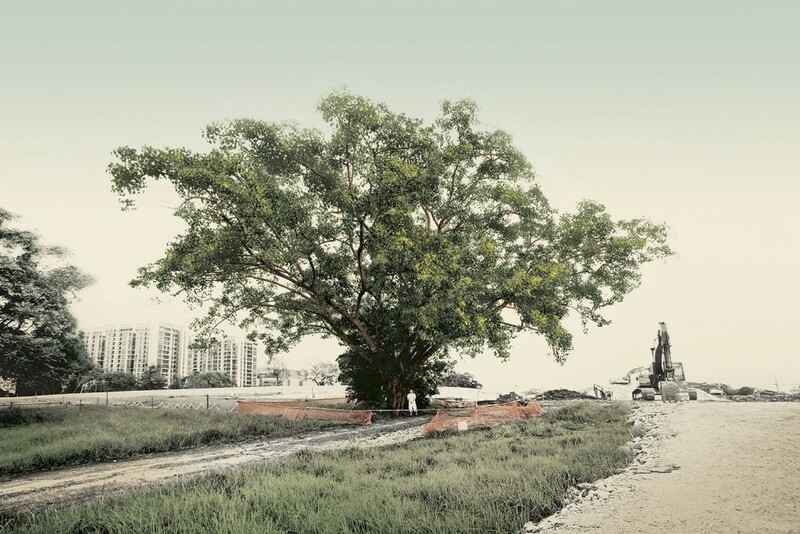 “This Bodhi tree is my favourite tree in the former Bidadari Cemetery. It was definitely there before I was born — its age is in excess of 50 years. 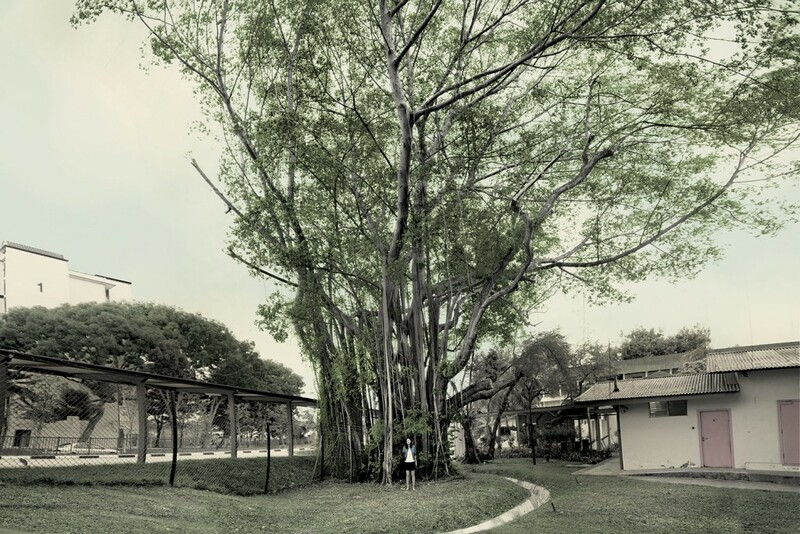 This Malayan Banyan is a towering presence in Goodman Road, serving as an important landmark for various students over the years. This is because, just next to the tree is a building that has housed three different schools over the years: Tun Seri Lanang Secondary School (1962 to 1995), LASALLE College of the Arts (1992 to 2007), and School of the Arts (SOTA) (2007 to 2009). Now the building is known as the Goodman Arts Centre, housing the National Arts Council alongside artist studios. In 2014, when there was news that trees, including the Malayan Banyan, were going to be cut down to make way for the widening of Goodman Road, artist Jacquelyn Soo stepped in with a petition to save the tree. She succeeded, and the tree was retained. 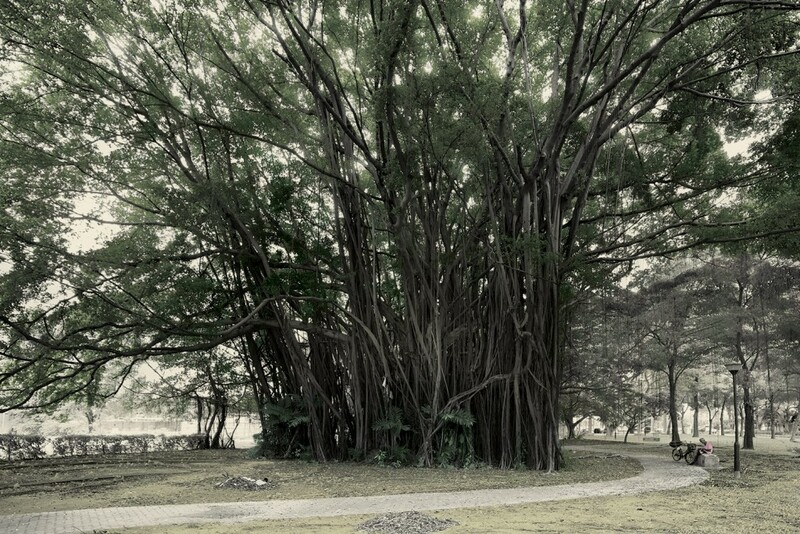 Dubbed the “Seletar Wedding Tree”, this bald casuarina is one of the most photographed trees in Singapore. Mr Wong, for one, has snapped more than 100 couples there. He remembers having to wait 30 minutes one weekend because there was a long line of couples queueing for a photograph. If you happen to be at Ang Mo Kio Park at 6am, you may see a group of 20 people walking around a tree while holding their arms up. A well-trod path in the grass, in the form of a perfect circle, is evidence of their prolonged practice. They are practising Ba Gua, a walking meditation. 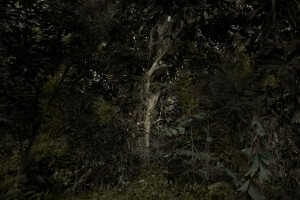 They believe that energy from the tree can be transferred to humans. In Singapore, groups of people meet in parks in Woodlands, Lakeside, Marine Parade and East Coast to practice.The Ang Mo Kio group, which includes working professionals, housewives, students, meet every morning from 6 to 7am. This small bamboo grove behind Block 74 Commonwealth Drive used to be a popular spot for many nearby residents. It has been around for more than 15 years and stands beside what used to be a small Chinese temple along the KTM railway track. Only fragments of the temple’s floor tiles remain on site today. Since the recent closure of a nearby car park, only two people continue to visit the grove, Mr Tan and Mr Chua. They prune the bamboo regularly to keep it from growing too wild, and have also grown papaya trees and sugar cane nearby. But most importantly, they come to visit their special friends: a family of squirrels that recognises them and responds to a whistle. Mr Tan spoils them sometimes with hand-picked durian from two nearby trees. Managed to find one of the Rambutan trees from the former Han Rambutan Orchard! Does anyone remember visiting this Rambutan Orchard? 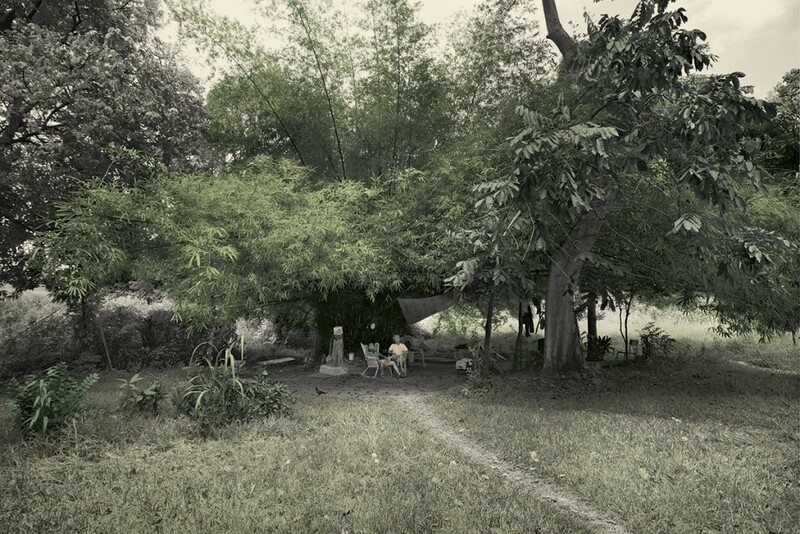 The orchard was also a place for the literati to meet and convene, away from the city, and had the best rambutan species from around the region. Old Upper Thompson Rd. 1003 Singapore. 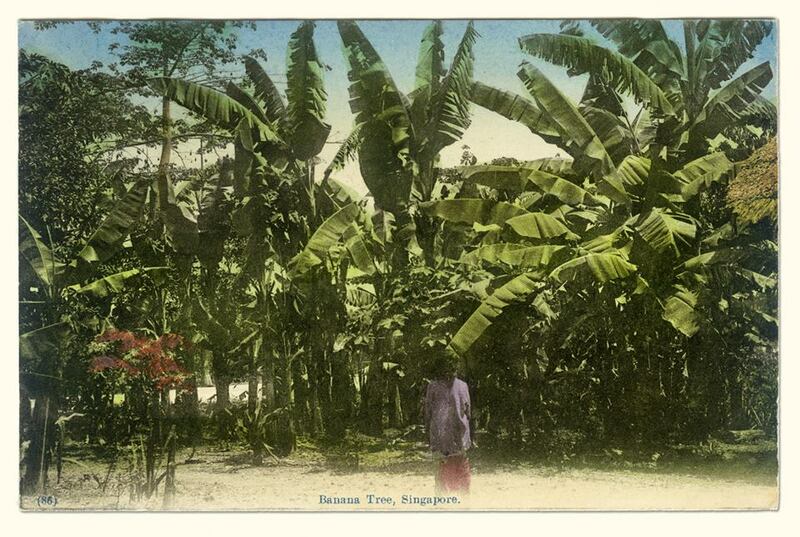 To the chief Gardener of Singapore, Thank you for all the trees. 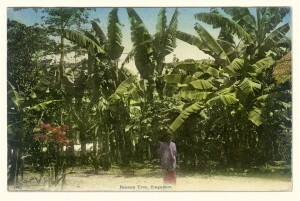 Gardner at Botanical Garden, Hand-tinted, c.1910. “But there were other areas he felt very strongly about and let his views be known. 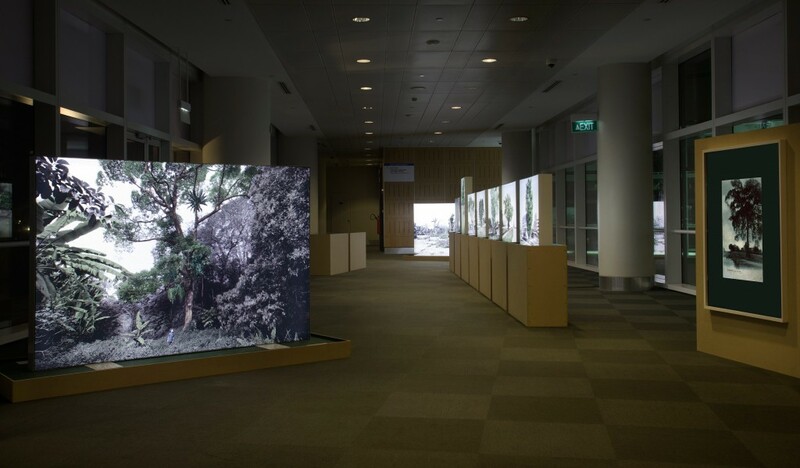 For example, on greening Singapore, he had very definite (views), his determination that this place should be clean, green and beautiful is maintained till today. He planted at the first tree planting 50 years ago and he had just planted another one recently. A couple of years ago, the Istana staff put up a proposal, somewhere along the boundary, the fence; they wanted to trim a few trees, to improve visibility and security. I was going to agree and he sent me a note to say, are you sure you need to do this? This place is green, and we make it a point to make this place green, and we have got birds and wildlife. You want to keep it like that. So in the end, I didn’t cut the trees down but he felt strongly about (the issue). We want our Singapore coconuts, where did they go? (Free)Climbing Cocoanut, Singapore, Katong, 1910. Every time his children suggested chopping down the tree, Haji Bakri withdrew into himself. He kept silent. They were unaware of just how strongly Haji Bakri felt about the tree. To him, the tree was his soul. The tree was his life. He was very sure that if the tree died, he would die; or if he died, the tree would die. It was strange how the human mind thought sometimes. His children did not know that the tree was as old as him and had witnessed his life’s journey. 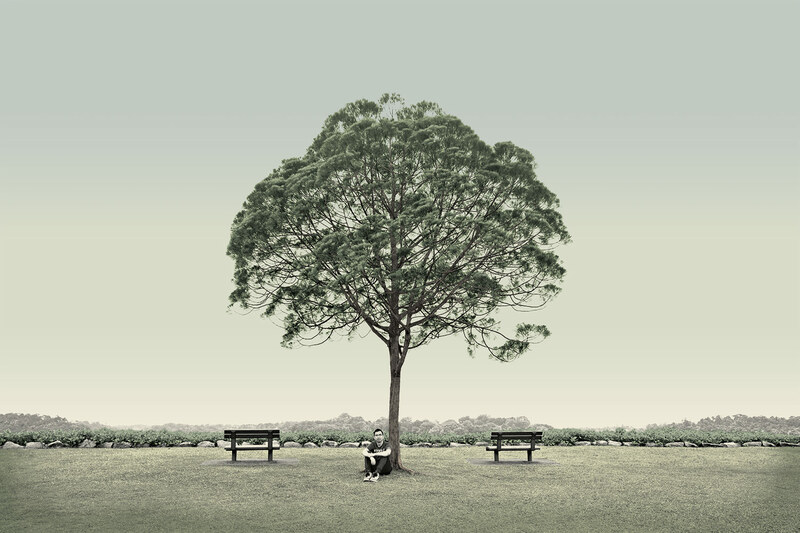 “If the old tree is to be brought down, it means that this old person here ought to die too. I am old and useless too.” These words often plated in Haji Bakri’s mind. He felt offended every time his children mentioned cutting down the tree. Last evening, when his youngest child Salimah had brought up the matter again as the family sat on the verandah, Haji Bakri had snapped. “What sin has the tree committed that all of you want to cut it down? None of you can see what the tree has done for others. Look at those birds, the tree is the home they return to every evening. To passer-by, the tree provides shade from the hot sun. It may be old, but it is still useful. But all of you, what have you contributed to your race, religion and country? Haji Bakri had grabbed his walking stick and risen from the rattan chair. With its girth of 10.2m, the largest tree in Singapore is located near the entrance of Shangri La Rasa Sentosa Resort. 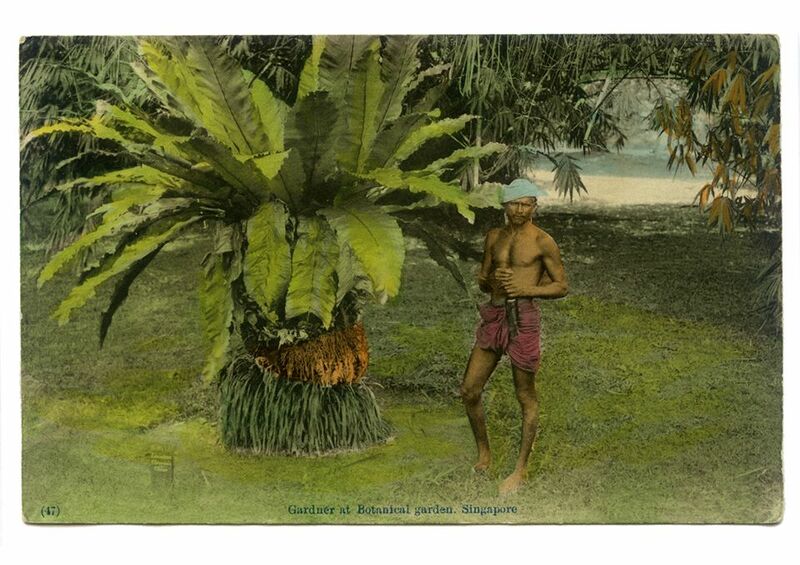 This angsana tree is believed to be planted by the British more than 100 years ago. Former policeman Mr Yusri joined the resort as a gardener just 2 weeks after its opening and has been a caretaker of this tree since 1993. He loves it for the shade it provides with its large crown. 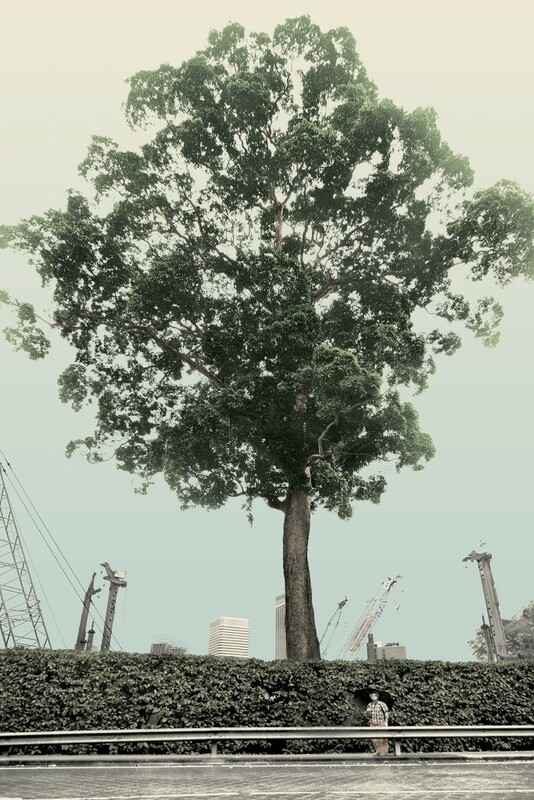 In the early days, he and his team used to get up to the intersection between the branches to prune the tree, but as it got taller — it is now 27 metres high — they started to rely on contractors. He also pays close attention to the tree’s health, regularly checking its fallen leaves to check if they are spotted, which is a sign of the fatal “Angsana Wilt” fungal disease. Back in 1991, a man who was left homeless after his zinc house was demolished decided to build himself a makeshift home on a mango tree near King Albert Park. 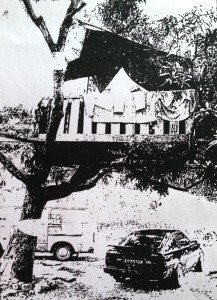 Do you know of any tree houses in Singapore today? © Copyright 2015 Singapore, very old tree.